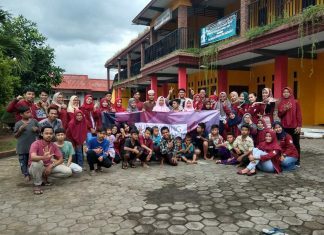 UNAIR NEWS – To meet the global challenges, improving the quality of human resources in Public Health services is urgently needed. 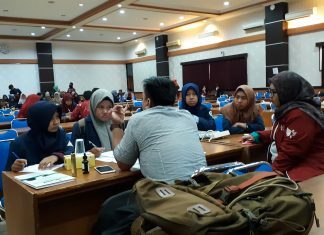 Public Health Doctoral Program, the Faculty of Public Health, Universitas Airlangga held the International Symposium on public health as a meeting place of academics, practitioners, and health care community to exchange the latest knowledge about public health. The 3rd International Symposium of Public Health (ISOPH) was held at Hotel Wyndham Surabaya, on 31 October and 1 November 2018, is also expected to increase the number of scientific publications lecturer and student of Universitas Airlangga. The Chairman of the Committee, Purwaningsih., M.Kes., S.Kp in her speech conveyed that Public Health Doctoral Program UNAIR prioritizes excellent research. “The priority of Public Health Doctoral Program UNAIR is excellent research. We improve our research activities to be implemented in the Ministry of Public Health, ” said Purwaningsih. 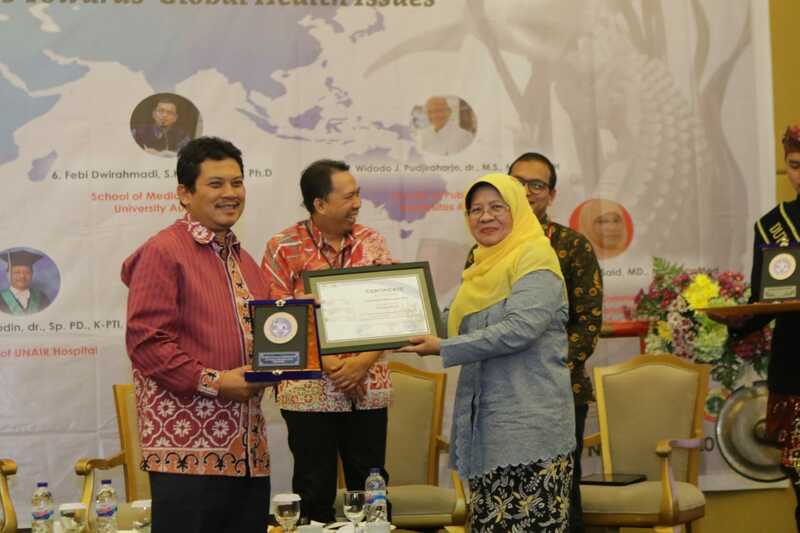 Rector of Universitas Airlangga was represented by the Chairman of the Institute for Research and Innovation, Prof. Dr. Hery Purnobasuki, Drs., M.Si., Ph. 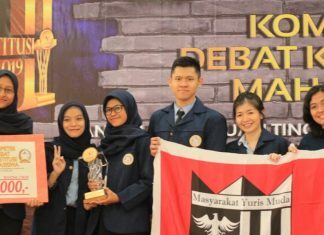 D stated that the symposium is the contribution of UNAIR to develop policies and laws for better health as well as, making public health the priority of development. “This is our contribution to develop policies and laws to better health, and making health a priority,” said Prof. Hery. International Symposium of FKM UNAIR was attended by 339 participants and received 291 scientific articles. From all of the scientific articles, there were 32 articles which have been accepted in Scopus indexed scientific journals. Director General of Resources Science Technology and Higher Education, Ministry of Research, Technology and Higher Education (Kemenristekdikti) of the Republic of Indonesia, Prof. Ali Gufron Mukti, Dr.., M.Sc., Ph.D, who attended representing the Minister of Research, Technology and Higher Education said that government should look at three important sectors to be able to demonstrate performance and prove that the government is present in the society. “Any governments, not only the Government of Indonesia, should pay attention to three important sectors. First, health. Second, education. And the third, sectors of the economy. 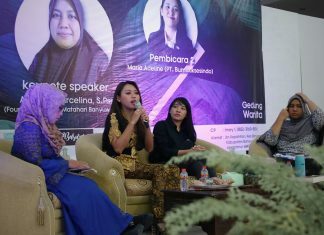 If Government can make work programs that can be felt directly by the public, it will show that the Government is present in society, “said Prof. Ali Gufron Mukti. Prof. Ali also confirmed the efforts undertaken by the Ministry of Research, Technology and Higher Education to empower researchers, lecturers, and professors to collaborate with practitioners in industry sector. So, their research and innovation can be useful and give a bigger impact for society.